Chae Hee Lee was appointed the chief director of the Korean Traditional Music Association of Hawaii. This group has been participating in the Honolulu Festival Parade since 2001. 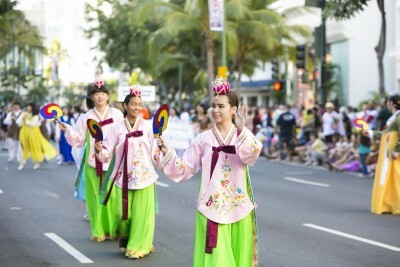 The Korean Traditional Music Association of Hawaii has been participating in the Honolulu Festival Parade since 2001. Instructor of the Traditional Korean Dance Institute Chae Hee Lee, who was also appointed as the cheif director of the Korean Traditional Music Association of Hawaii, formed Chum-Sa-Rang in 2000 as a non-profit organization. 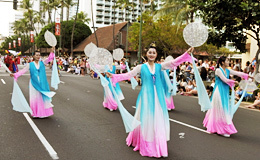 This group since 2001 has been participating in the Honolulu Festival Parade. THUNDER HAWAII Team, BOHYUN Dance Group and MYONG WOO DAHN Group will perform at the Convention Center and Ala Moana Center stages on Saturday March 3, 2012. 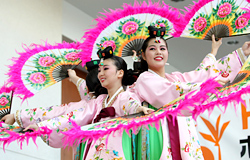 HALLA HUHM KOREAN DANCE STUDIO will perform at Ala Moana Center stage on Sunday March 4, 2012. Chum Sa Rang, Daina Chang Dance Group, Hahaum Dance Studio, and Myung Woo Dan will be participated on March 12, Saturday for the stage performance at the Convention Center and Ala Moana Center. For the Sunday, besides those groups, United Korean Association of Hawaii, Korean American Sport Association of Hawaii will be participated in the parade on Sunday March 13, 2011.